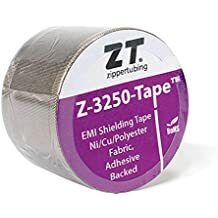 Tuway Zipper - Zippers - Closure Options - Materials - ZT | Zippertubing Co.
Tu-Way toothed zippers consist of individual molded Delrin® interlocking teeth attached to a separating Polyester fabric tape which has a fixed start and stop point. The Tu-Way zipper is closed via dual (two) self-locking sliders which face tail to tail allowing the zipper jacket to be opened from either end once installed. This type of zipper configuration makes accessing the jacket termination point (usually at a connector end) very easy for rework without having to remove the entire jacket if the problem area happens to be at the pin/box end which is typical of a standard toothed zipper. Tu-Way toothed zippers are available as a medium or heavyweight, highly flexible, closure system for cables where a tool-free installation is desired and the open/closure cycle frequency is likely to be high. Toothed Tu-Way zippers perform best in round cable applications where the cable bundle diameters exceeds 1.0 inch and larger and on flat ribbon cables over 2.0? wide. Toothed Tu-Way zippers can be used in very large size applications by increasing the tooth size. 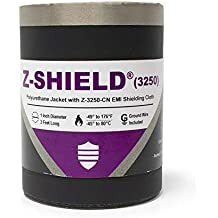 Ideally all zippers should be used in applications that are free of dirt and debris which could cause jamming, however toothed zippers are easily cleaned with a small brush if contaminated. Toothed Tu-Way zippers cannot be cut to length on site at the time of installation so assembly length must be known at the time of order. Zippers items are typically commercial items and meet the manufactures performance specification; however they can be procured in compliance to A-A-55634.